Friluftsliv is a Norwegian word that translates to “free air life” and represents a deeply held Scandinavian belief in the fundamental healing power of nature. And this month, Green Bay leaned in BIG on the friluftsliv scene! 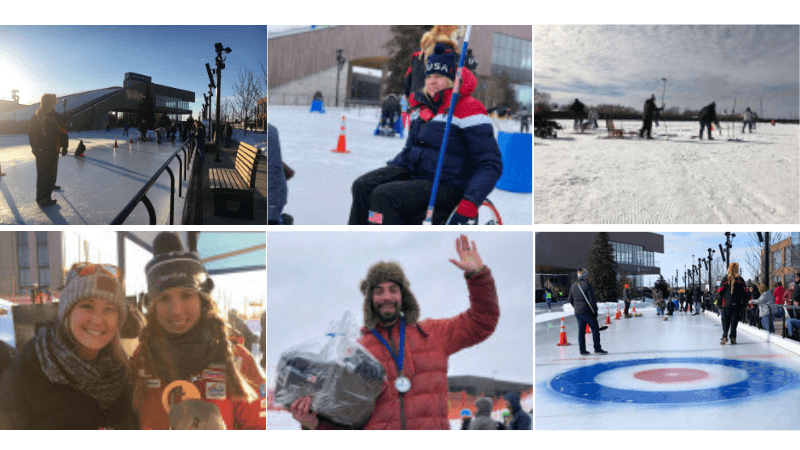 On February 16 and 17th, instead of the usual tubing and ice-skating, visitors to Titletown had a chance to experience the thrill of luge, curling, and biathlon with help from none other than U.S. winter Olympians. At this epic winter event, presented by U.S. Venture, USA Luge created a special course on Ariens Hill for the Luge Challenge where participants competed, with prizes awarded to the fastest runs, while USA Curling transformed a portion of the Titletown Ice Rink into an instructional course for participants to learn how to curl. 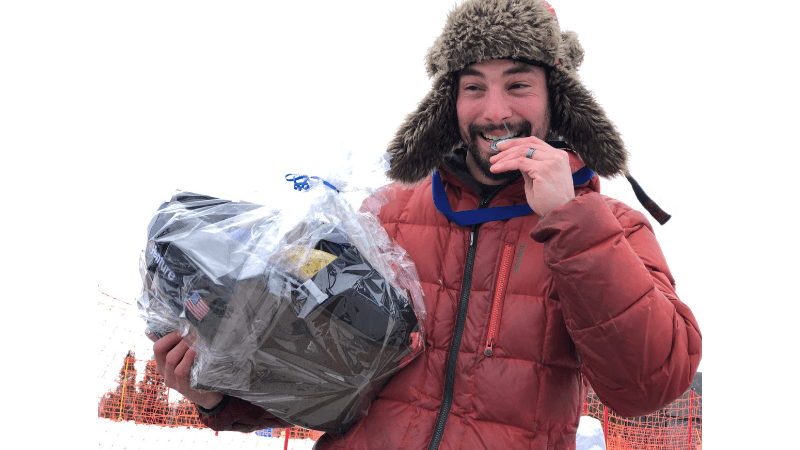 And US Biathlon and US Ski & Snowboard hosted an interactive biathlon skiing experience, using eye-safe “infrared rifles” to accurately simulate marksmanship, that allowed the public to try the winter sport that combines cross-country skiing and marksmanship. Wello and Weight of the Fox Valley, two organizations that share a vision of enhancing a culture of health and well-being in Northeast Wisconsin, worked with organizers to plan this free public event along with coordinating local youth and families from community partners such as the Boys & Girls Clubs, Big Brothers Big Sisters, Black Youth Alliance, YMCA and Kroc Center to participate. Wisconsin boasts four-seasons to get outdoors and be active - including the winter. While it can be tempting to stay indoors, events like Titletown Winter Games provide new opportunities to beat the winter blues. Did you participate in the Winter Games? If so, share a memory here!